HANDAL has been successfully manufacturing innovative products for diverse applications. Handal partner with customers across the globe in unique ways which transcend the ordinary company-customer interaction by providing solutions services and support long after product delivery, by exploring customer needs and applications. HANDAL develops customer-engineered products which in turn helps the customer build better end-products, boost performance and command better markets, The HDS range of products is one among them. 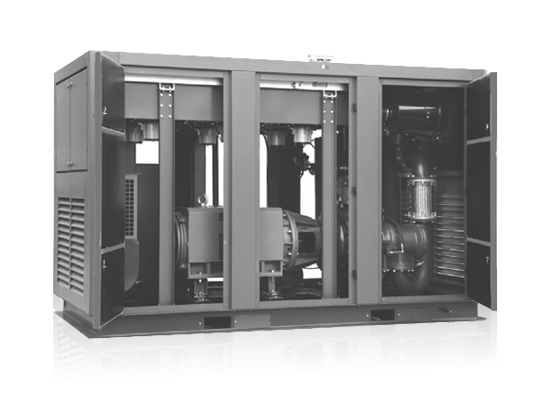 The HDS rang of rotary screw air compressor is offered with advance features that ensure high levels of reliability, effciency and economy. Built and tested to HANDAL stringent manufacturing standards, the compressor is designed to perform in the most demanding conditions. Genuine belt to meet the demands of heavy-duty, long life and high reliability. Convenient belt tensioning device makes the maintenance easy, and the transmission high-efficiency is ensured. Provide the flexibility for the customers to easily modify the working pressure if a change becomes necessary.